We have two beautiful (and heavy) mid-century glass frame mirrors in the shop. 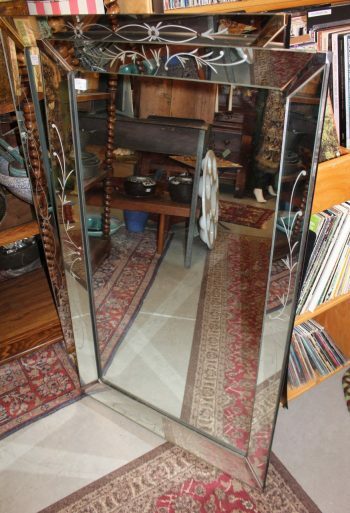 These mirrors are very similar but the are not a pair so they are priced individually. Excellent condition.